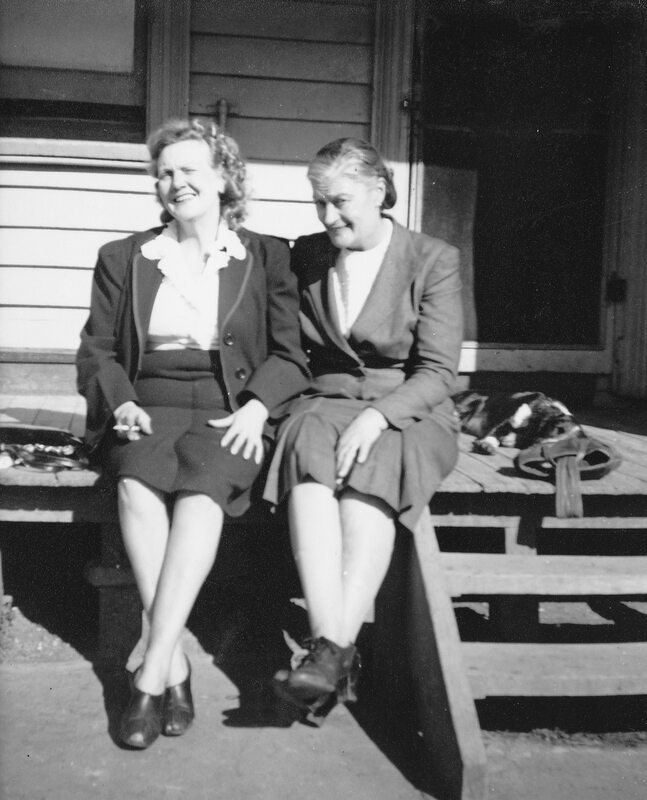 This is an image of my Great Grandmother (left) and her sister in law (My Pa's Mum and Aunt). I copied it onto a memory stick, took it to a photo place and got it developed, along with the next photo, for my Pa to have next to him. All he wanted to do was have his Mum next to him, to feel her near. Without lovely family it would not have been possible. Pa thanks them with all his heart. He has a big heart too! The question from his Oncologist was "What things have you to request Max". His reply, "I just want to know if there is a place in Heaven for gentlemen". "Of course there is Max", she said. Thank goodness for that. Above is an image of Pa, his Mum, his brother Arthur and his baby brother Graham. 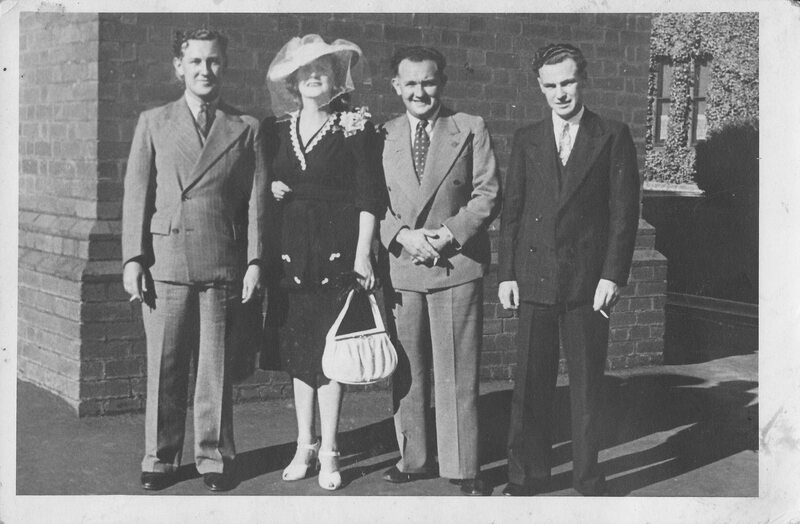 They are at a Christening in Fitzroy and it is 1949 (or so). His Mum, my Great Grandmother, was a dress maker and had her own shop in Fitzroy. The name of the shop was Sonja's Boutique, named after the ice skater Sonja Henie . Pa said that the shop was so busy that his Mum had to put on a girl to sell in front of shop whilst she was out back sewing dresses and my Grandma assisted with embellishment of the garments on her days off of her regular job. I am visiting blogs today. I am sorry to read that your father has cancer. The pictures and post tell of happier times, which is a nice tribute. Great photos Cazzie, and some nice family history.